Radio Spirits » Blog Archive » Happy Birthday, Barton Yarborough! 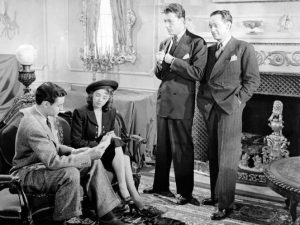 Despite the fact that radio’s I Love a Mystery had closed up shop over CBS Radio on December 29, 1944, Columbia Pictures wanted to adapt the popular “blood-and-thunder” melodrama for the silver screen…and did so by paying creator Carlton E. Morse a princely sum for the rights for a three-picture deal in 1945. Since Morse had written the third member of the ILAM trio, Britisher Reggie York, out of the show with the passing of actor Walter Patterson (death by suicide) in 1942, there were only two parts to be cast. The role of unofficial leader Jack Packard—played on radio by Michael Raffetto—was assigned to the slightly more movie-genic Jim Bannon, an ex-stuntman who had experience as a radio announcer and had also graced a few B-pictures at the same studio. 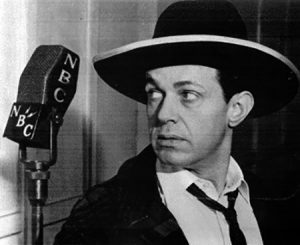 But for the irrepressible Doc Long, actor Barton Yarborough—born on this date in Goldthwaite, Texas in 1900—reprised his original radio role. Yarborough enjoyed a long association with Morse—not only emoting on Mystery but essaying the part of Clifford Barbour on Carlton’s long-running One Man’s Family for nearly twenty years (beginning with its debut in 1932). He was born William Barton Yarborough to father Patrick and mother Mollie. From the earliest of ages, he developed a love for acting, and ran away to join a traveling medicine show in his teens. Bart performed briefly in vaudeville during the early 1920s before joining the prestigious Eve Le Gallienne Company, a theatrical troupe that took him to New York and London. Yarborough later enrolled at USC-Berkeley and performed in a local company known as The Mask and Dagger Productions. 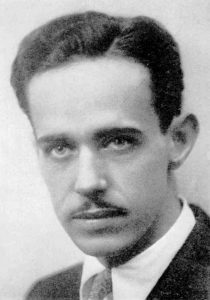 By the start of the 1930s, Barton was working in radio around San Francisco…a year after he married an actress named Barbara Jo Allen. The couple later divorced in 1936, but Allen became a well-known performer in the aural medium, portraying “Vera Vague” on The Bob Hope Show. When Carlton E. Morse’s One Man’s Family premiered over the West Coast NBC Network on April 29, 1932, Barton Yarborough began playing Clifford Barbour—one of five children born to stockbroker Henry and wife Fanny Barbour, who resided in San Francisco’s Sea Cliff area. 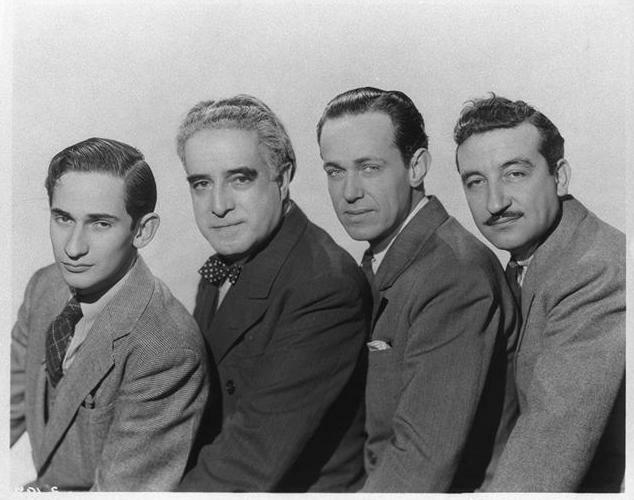 One Man’s Family expanded to the full coast-to-coast NBC Network a year later, becoming the longest-running uninterrupted dramatic serial in U.S. radio history (leaving the airwaves in 1959). At the same time that Bart was employed by One Man’s Family, he could also be heard as Doc Long on Morse’s I Love a Mystery. 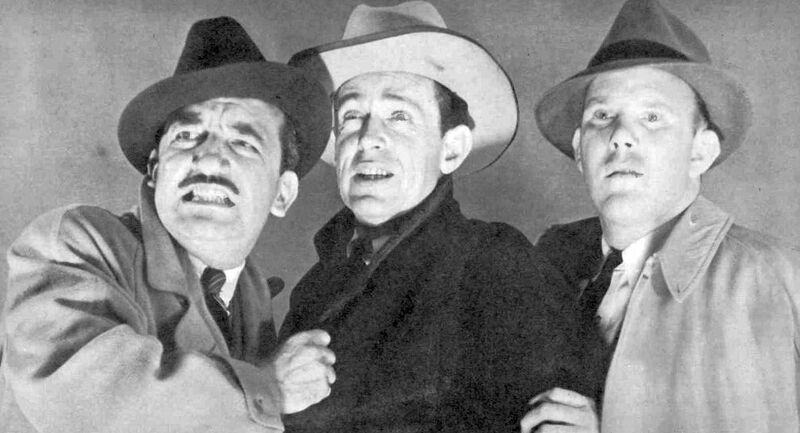 This serialized mystery-adventure premiered on the West Coast over NBC on January 16, 1939. (Much like Family, Mystery was soon promoted to coast-to-coast status.) Yarborough was also a regular (as Skip Turner) on Morse’s syndicated Adventures by Morse. So of course, when Carlton resurrected Mystery as I Love Adventure for ABC in the summer of 1948, Bart reprised his famous Doc Long character. The main reason for Barton Yarborough’s loyalty to Carlton E, Morse’s productions was simple. According to Peggy Webber (who worked a great deal with Yarborough on Dragnet), Morse had a rule about his actors working on other shows. Eventually, Carlton E. lifted that restriction, which enabled Bart to take on the role of “Brazos John” in the early adult western Hawk Durango in July of 1946 for CBS. The series, which starred Elliott Lewis in the title role and was directed and produced by William N. Robson, had a brief summer run (as a replacement for The Adventures of Maisie) before returning in the fall with a new title: Hawk Larabee. Yarborough took over the role of the titular character, with Barney Phillips as his sidekick. Yarborough was then demoted back to sidekick when Lewis returned to play Hawk in September of 1947. The series made its final exit on February 7, 1948. Barton Yarborough’s Texas drawl got him plenty of work on such Western radio shows as All-Star Western Theatre, The Black Ghost, The Cisco Kid, Frontier Theatre, Frontier Town, Gene Autry’s Melody Ranch, Hopalong Cassidy, and Wild Bill Hickok. In July of 1950, Yarborough landed another sidekick gig on Mutual’s Hashknife Hartley (he played “Sleepy Stevens”), which might have had a longer run had it not been for the actor’s premature passing. Bart’s other radio appearances include The Adventures of Christopher London, Bold Venture, Broadway’s My Beat, The Cavalcade of America, Family Theatre, The First Nighter Program, The Halls of Ivy, Let George Do It, The Line Up, The Lux Radio Theatre, The March of Time, Meet Millie, Radio Almanac, Richard Diamond, Private Detective, Screen Director’s Playhouse, The Story of Dr. Kildare, Suspense, Today’s Children, Voyage of the Scarlet Queen, and Yours Truly, Johnny Dollar. Barton Yarborough made a name for himself on radio with his showcases on One Man’s Family and I Love a Mystery…but if there’s one program for which it could be argued he’s best remembered it would be Dragnet. Bart had worked with Dragnet creator Jack Webb (who also got his start in San Francisco radio) on shows like Errand of Mercy, Escape, Jeff Regan, Investigator, and Three for Adventure (a 1949 audition very similar to I Love a Mystery). When Webb began casting the police procedural that debuted over NBC on June 3, 1949, he picked Bart to play Joe Friday’s partner—soft-spoken family man Ben Romero. 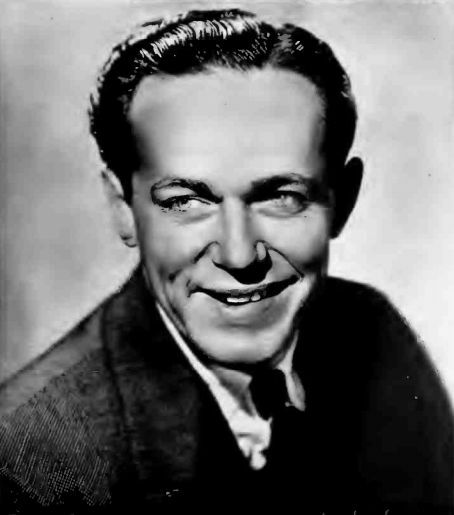 Frequent Dragnet performer Harry Bartell once observed of the character’s Texas background: “At first I wondered why a Los Angeles cop would have an out-of-town accent, but no one paid any attention to it.” The Ben Romero character (as played by Yarborough) had an endearing sense of humor about himself, avoiding the somewhat broader portrayals of the later Frank Smith (Ben Alexander) and Bill Gannon (Harry Morgan). When Jack Webb brought Dragnet to TV in December of 1951, Barton Yarborough was all set to reprise his Ben Romero role. Bart’s years of acting experience had been mostly put to use on radio, but he demonstrated that he was quite at ease in front of a camera. His first credited film appearance was in 1941’s They Meet Again (a movie in the Dr. Christian series). This was followed-up with such features as Saboteur (1942), The Ghost of Frankenstein (1942), the three I Love a Mystery films (including The Devil’s Mask and The Unknown), and Kilroy Was Here (1947). 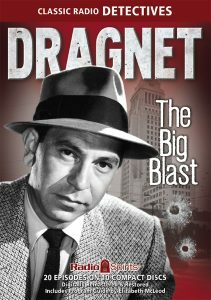 But Yarborough would only appear in the first two episodes of the Dragnet TV series. He suffered a heart attack shortly after filming wrapped on the second episode on December 19, 1951. 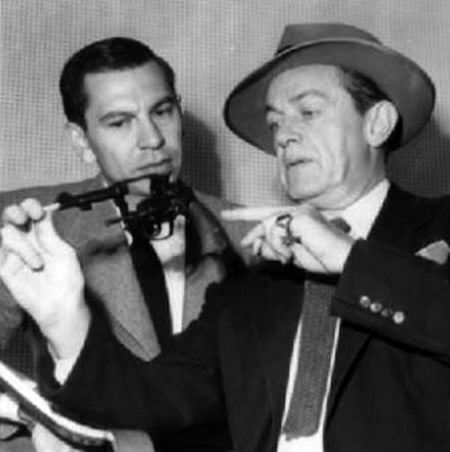 Webb paid tribute to his friend by making Ben Romero’s passing a plot point in the radio broadcast of “The Big Sorrow” (12/27/51). The actor’s final film performance was an uncredited (but wonderful) role as Humphrey Bogart’s assistant in Deadline – U.S.A. (1952). “I felt of all the sidekicks that Jack had, Bart was the best,” actress Peggy Webber reflectively asserted in My Name’s Friday, Michael J. Hayde’s essential reference book on Jack Webb, Dragnet, and the feature films that would bear Webb’s name. “He was so easy with what he did and he added a subtle dimension of humor. It was a good contrast with Jack.” We couldn’t agree more. That’s why Radio Spirits highly recommends a purchase of two Dragnet collections, The Big Blast and Night Watch. You can also hear our birthday boy on broadcast in three of our Escape compendiums—Essentials, The Hunted and the Haunted, and Peril—and if that isn’t enough to satisfy you, there’s Jeff Regan, Investigator: Stand By For Mystery, Let George Do It: Cry Uncle, and Richard Diamond, Private Detective: Homicide Made Easy. Happiest of birthdays to you, Mr. Yarborough!